The G2 parcel at Taylor Yard was acquired by the City of Los Angeles to develop a new park and restore lost riparian ecosystems on the Los Angeles River. 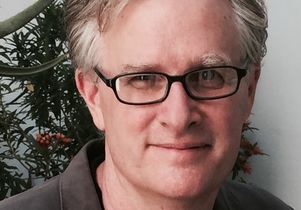 Jon Christensen is a founder of the Laboratory for Environmental Narrative Strategies in the UCLA Institute of the Environment and Sustainability. This column appeared in CityLab. Los Angeles is where it is because of the river that runs through it. Tongva people lived along the river, around what is now downtown L.A., for centuries. The Spanish camped there when they first passed through. Pobladores established a town there. It grew into a city. The river, which once rampaged in wet winters, was tamed by concrete beginning in the late 1930s. People forgot there was a river. It became a flood-control channel. Now the Los Angeles River is roaring back. There are plans to revitalize the river and its relationship to surrounding communities all along its 51-mile course through the city. And with those plans come fears of green gentrification: that as the city greens and embraces its river again, people will be pushed out. Both plans and fears center on an 11-mile stretch in the middle of the river’s run near downtown, where the city and the U.S. Army Corps of Engineers have agreed on a vision for giving the river back some room to be a river again — and to become an icon for the future Los Angeles. 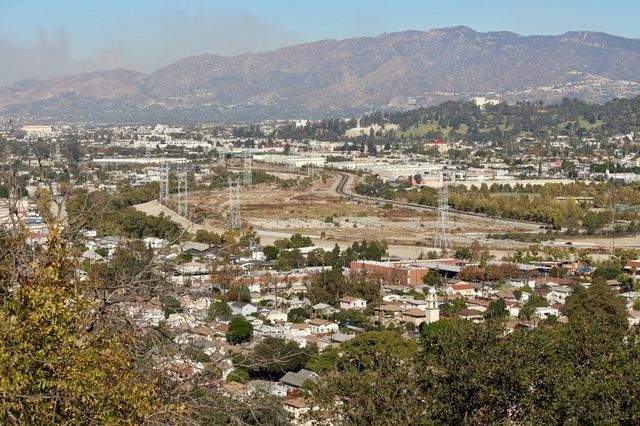 That future isn’t clear yet, but it is coming into focus on a 42-acre contaminated tract of a former rail yard that the City of Los Angeles bought for $60 million last year. The struggle will extend well beyond the “G2 parcel” at Taylor Yard, as the old railroad depot next to the river in Elysian Valley was known. It will take in the Bowtie parcel next door, an 18-acre piece of the railroad yard purchased by California State Parks that still lies undeveloped, like the G2 parcel, but has already attracted a proposal for a mixed-use development with 419 apartments right next door to the park, squeezed between the river and the 2 freeway. 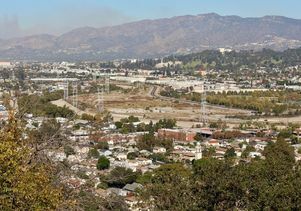 It will sweep up Rio de Los Angeles State Park, a park next to the G2 parcel jointly managed by state parks and the city, and sweep through an expanding housing development nearby along San Fernando Road. It will extend downriver to Los Angeles State Historic Park, and to a 14-story, 920-unit development proposed for the bluff above that park. Eventually, the struggle will reach up and down the river. Los Angeles is in its pre-High Line moment right now. When an old piece of railroad infrastructure, an elevated line running down the west side of lower Manhattan, was turned into an attractive post-industrial park. The new High Line, which opened in 2009, was the spark that lit a bonfire of gentrification in and around the Meatpacking District and Chelsea. Will Los Angeles suffer — or enjoy, depending on your perspective — the same fate? What happens on the banks of the Los Angeles River as it takes a big turn into downtown, on its journey to the Pacific Ocean, will set the stage for what comes to pass up and down its banks. Angelenos in communities all along the river have an opportunity to decide which direction to go and inflect the arc of history — or let it be decided for them. That’s a lot of weight to put on a small piece of land: You could walk across the G2 parcel in 10 minutes. At the same time, it’s a big chunk of open space in a prime location, right beside the river in the picturesque bowl of Elysian Valley, whose name says it all. This is, in many ways, Los Angeles at its best. Standing in the middle of the parcel, you understand why people have wanted to live here for centuries and even millennia. This aspiration continues, despite the fact that the ground under your feet was poisoned over the past hundred years by the railroad, which is now history. You can feel the future here, too, even with the past firmly underfoot: broken concrete, twisted rails, dusty gravel trails. It’s clear this place is full of potential, even if you can’t see the future here all that clearly. It’s OK. Nobody can. Certainly not me. What happens at the G2 parcel is closely connected to the future of the Bowtie parcel and any development that occurs next door to the state park land, if, indeed, it is ever built. The proposal for a mixed-use development adjacent to the Bowtie will be undergoing a public environmental impact review beginning this year. Los Angeles State Historic Park, just downriver, along with the massive development proposed there, is also an important part of this picture. Some people say the park is L.A.’s Central Park. I think our Central Park or High Line is really the string of parks from the state historic park, once known as the Cornfield, to the Bowtie parcel, including Albion Riverside Park, Ed P. Reyes River Greenway, River Garden Park, Elysian Park, Rio de Los Angeles State Park, the G2 parcel, Marsh Street Nature Park, and the river itself. And that’s the question: Do we want the river and its parks to become like Central Park or the High Line, both surrounded on nearly all sides by some of the most expensive real estate on the planet? Don’t get me wrong. There are some valuable things to be learned from both. Central Park has long been supported by the wealthiest residents of New York. 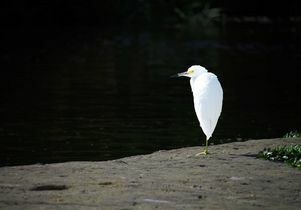 Will our downtown river parks be supported by the wealthiest residents of Los Angeles, whether they live along the river or enjoy visiting, and will they understand the river’s importance in the city? The High Line is a model of public engagement and innovative programming. Since its opening, it has been overwhelmed by visitors from near and far. Will our river parks be so attractive to visitors and Angelenos? At the center of this drama is the claim that parks trigger gentrification. Therefore we should be wary of new parks, because they could lead to rising property values, higher rents, and displacement, people being forced out of neighborhoods where they have long lived, such as Atwater Village, Glassell Park, Cypress Park, Mount Washington, Northeast Los Angeles, Frogtown, Elysian Valley, Lincoln Heights, Solano Canyon, Chinatown, and Dogtown — park-poor communities that advocated for green space in the first place. There is some evidence for this claim, of course. Improved parks, like other positive amenities — cool retail, coffee shops, fresh produce — are correlated with gentrification, in some cases. But it’s also clear that parks are just part of a bigger picture. So then the question becomes: what role should parks play in this bigger picture? And now we’re really getting to the heart of the challenge. If parks, including G2, become synonymous with gentrification, all of us will be worse off. We’ll be left with “just green enough,” a rather anemic but widely touted academic argument that we ought to figure out ways to allow communities to keep on keeping on just as they are, with maybe a bit of clean-up and additional green space, but not so much as to attract gentrification. In this version of the future, Taylor Yard would continue to be an industrial yard, perhaps with better waste management practices, some cleanup, and a bit of riverfront access — but not too much. Guess what? That ain’t gonna happen. The railroad pulled out in the mid-1980s. It’s not coming back, even though Metrolink now has a piece of the property that it uses for a maintenance yard, much to the consternation of local residents. So we have to figure out how to move forward. Part of figuring out this future will be about what the G2 parcel and the Bowtie parcel next door become. Will they be re-wilded? Will the river be allowed to flood them? Will they have recreational facilities? Community gathering spaces? Will their history be erased, or become part of designs for the future? Some of the same questions as well as others will be important at every new park and public space along the river. But the other part of this future will be about what becomes of the communities surrounding these parcels. There are a lot of ideas for how good parks can fit with good communities. Some of those ideas are nearly as old as cities themselves. Most of them stress the importance of that relationship, between parks and communities. Lacking a vibrant, active, and diverse engagement with the surrounding community, open spaces often become dead spaces that don’t contribute to the social life of their cities. And there are some good emerging ideas about how parks can fit into established communities and help lift them up instead of displacing them. A new group has formed to try to address these challenges in L.A. It’s called the Los Angeles Regional Open Space and Affordable Housing Collaborative, or LA ROSAH. The name is evocative: the rose, in the process of blooming, becoming. LA ROSAH was formed by organizations advocating for open space, affordable housing, and environmental justice to ensure that a greener environment benefits low-income residents rather than contributing to their displacement. Members of the collaborative have been working to improve coordination among parks and affordable housing advocates and agencies, and to promote successful policies and strategies for preserving and creating more affordable housing and green spaces in L.A.
What becomes of this collaborative, and what becomes of parks and communities on the Los Angeles River, will shape the future of our city and will be watched closely as an example by the whole world. Right now, we don’t have any really good models for inclusive green development that can lift up communities in place while providing the access to nature, open space, and recreational opportunities that we know are so important to the health of people and their neighborhoods. Los Angeles will host the Olympics in 2028. The city wants the Los Angeles River and Taylor Yard to be an iconic centerpiece of the new story that it tells the world about itself. What if it were a true story about developing a real model for equitable and just greening of the city, a model that other cities around the world could learn from and build upon? That would truly be worth celebrating. The G2 parcel at Taylor Yard along the Los Angeles River. 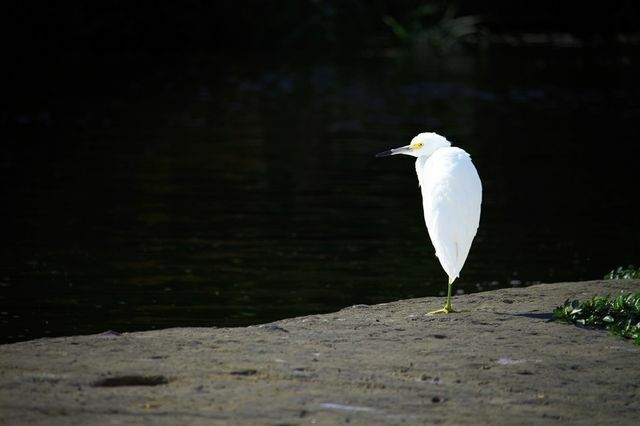 The Los Angeles River is home to a variety of birds and mammals, including pelicans, cormorants, shrike and coyote.